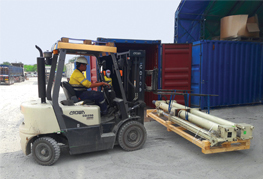 CEA Project Logistics was contracted for the demobilisation and export to Malaysia of a High-Pressure Plastic Injection Moulding Machine weighing over 150 Tonnes. Working alongside Mitsubishi technicians for this demobilisation project (the original machine supplier) CEA initially disconnected all the hydraulic interfaces between the machine and fixed supply, in addition, all high and low voltage electrical connections were disconnected. After disassembling all interlocked gates and fencing, the hydraulic power packs were removed and packed into temporary supports. The access platforms and plastic supply hopper was removed next. A Sepro robotic arm assistor used for the omnium unloading required some expert rigging to ensure it was fully balanced before being dismantled. The injector unit was removed and loaded directly onto a low bed trailer for immediate load-out out to the CEA facility for packing. 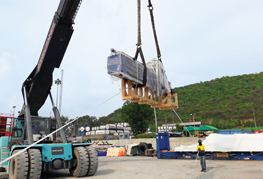 The heavier components, 46 tonne die head and the rear platen with ejector unit at 42 tonnes were the final components to be dismantled. The tie-rod cap plates were removed first and then by use of the mobiles cranes the teams proceeded to slide out the four 6 Tonne tie-rods that connect the die head and platen, each of these were immediately loaded onto wooden supports and treated for rust protection. 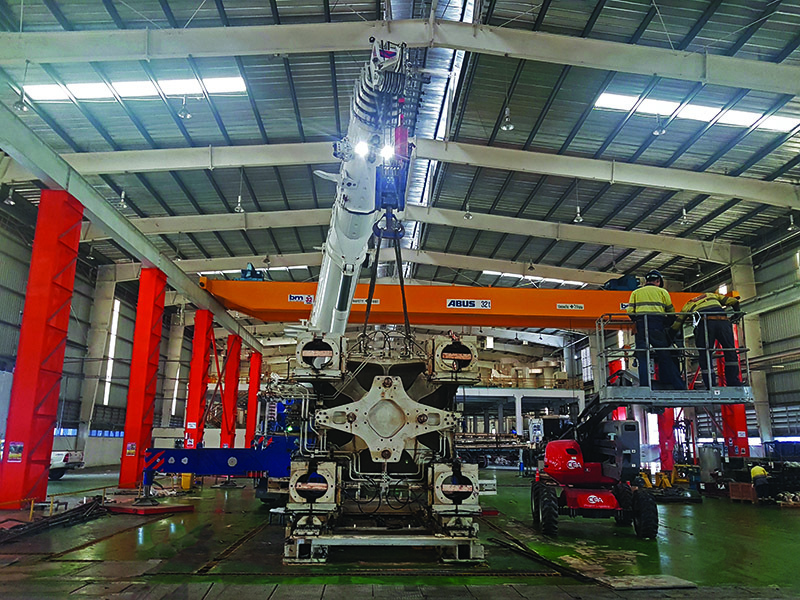 Using special jig and tools specifically produced for this demobilisation, the CEA special projects team lifted both the die head and then the platen by means of top and tailing cranes. Both the die head and platen were moved into a horizontal position and loaded directly onto low bed trailers. 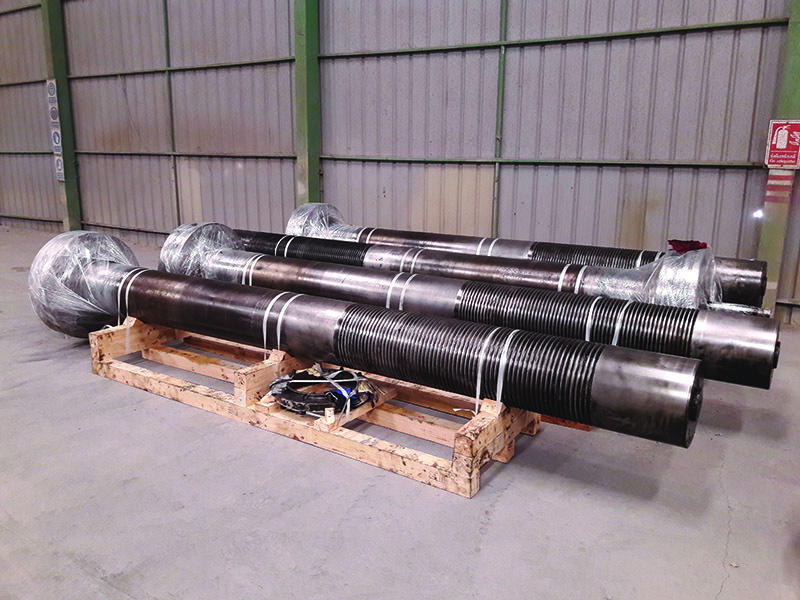 They were then transported to the CEA facility for packing onto MAFI trailers in preparation for break-bulk load out. 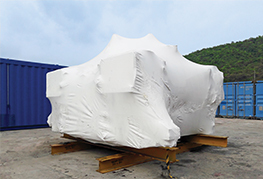 Other auxiliary parts and equipment were packed, stuffed and secured in several 40’ containers ready for shipping.